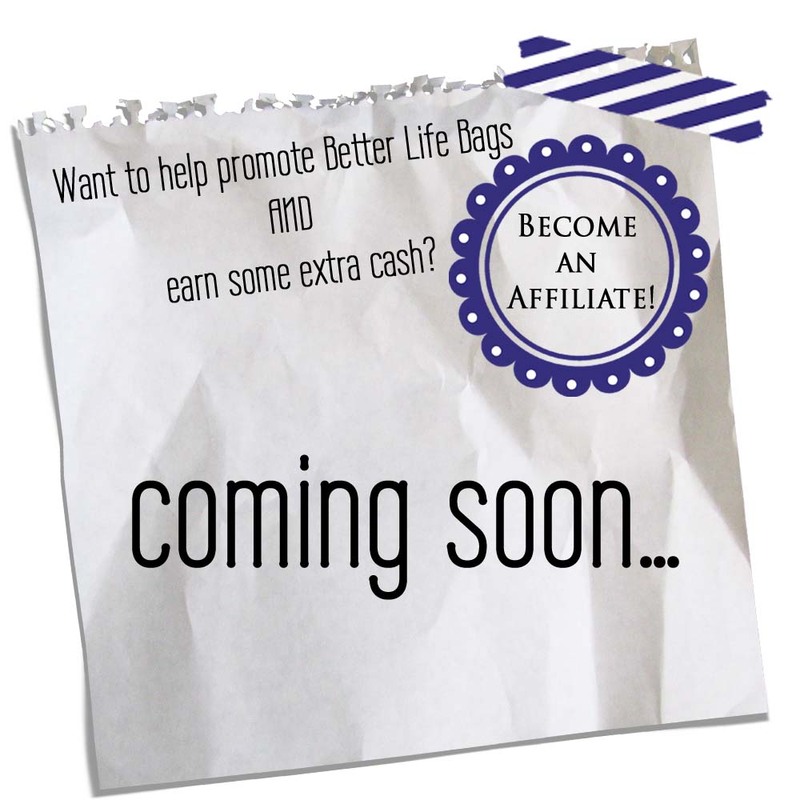 Better Life Blog: ready for some big news? 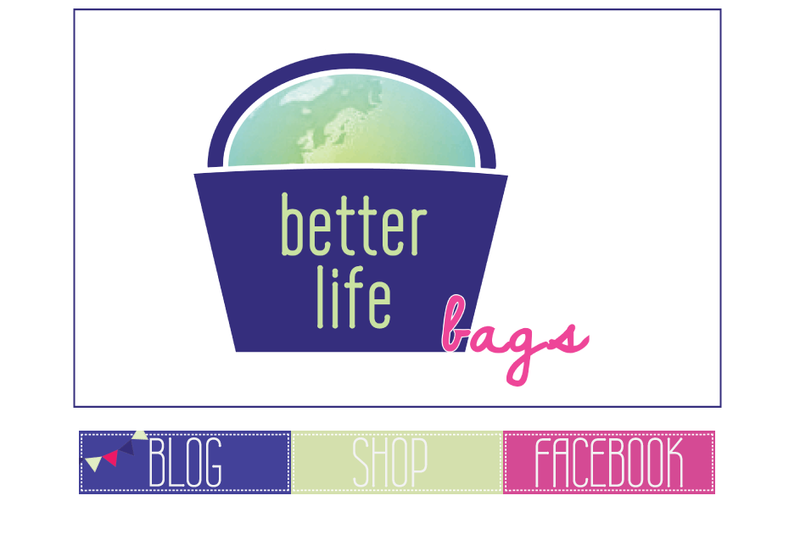 I have been working incredibly hard over the past month to get a NEW WEBSITE up and running for Better Life Bags! Aimee from ByAimee did all the beautiful design work for the page. I'd love to walk you through the shop and give you a little tour. I think you'll REALLY like the new changes. Really professional looking, huh? If the images don't line up like that when you go to check it out, just click "Grid" as the Display option instead of "List". Now, besides how the shop LOOKS, there are some awesome new features that I think you'll fall in love with. First, a Reward Points system! So, to celebrate the opening of the new Better Life Bags website, everyone will get DOUBLE reward points this entire week. 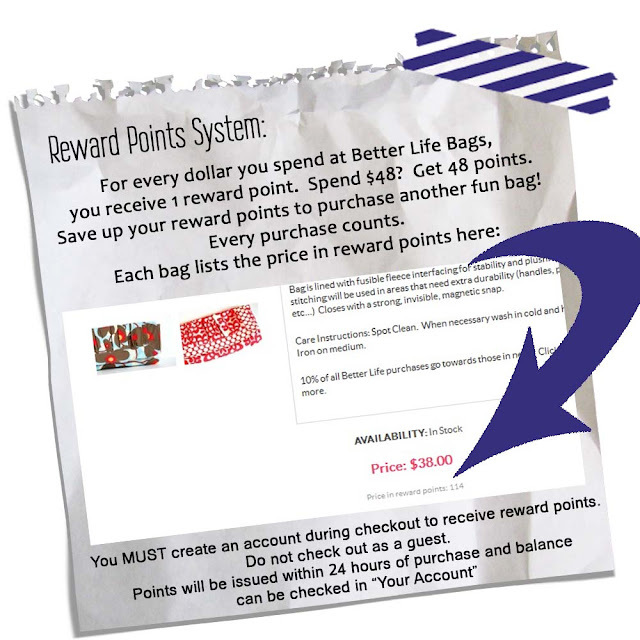 Spend $40, get 80 reward points - which means you potentially could already get a free bag! Also, a new feature that I will be working on in the near future will be an opportunity to become an affiliate if you are a blogger or website owner. Shipping is now just $5 per item and FREE with orders totaling $75 or more! Also, be sure to check out the links at the bottom of the site. From here, you can purchase Gift Certificates and check your balance, sign up for my weekly newsletter, and add items to a wish list! I'm in love. 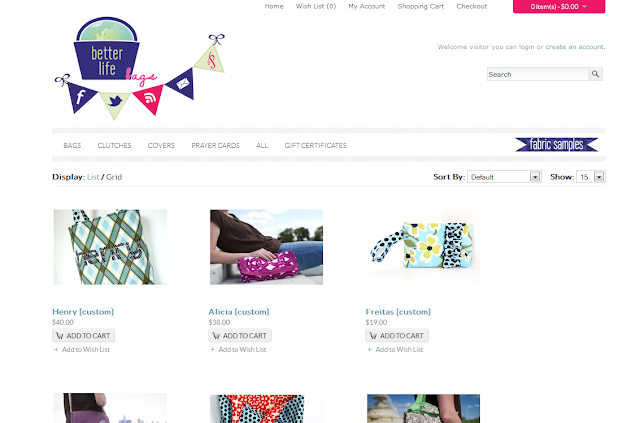 Now, go play around with the new site and let me know what you think! Thanks!! I really love how it looks, too! That Aimee is amazing. The new site looks great! Congrats!